Thursday Afternoon Outdoor Veterans style league. Although this league did not run last summer, if there are sufficient entries we will run the league this summer. Sunday Evening Switching Triples League. This league has been moved from Fridays due to clashes with other commitments. Six players can be registered for each team. 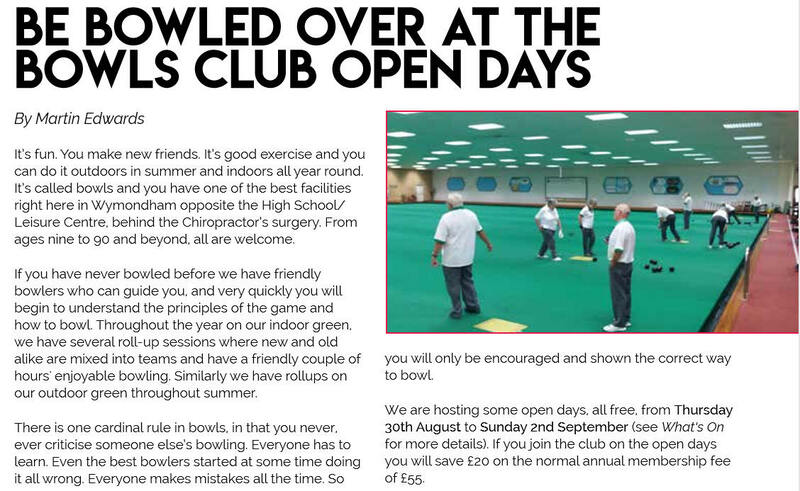 Handbooks for the indoor season are available from Monday 20 August on payment of the annual subscription. Congratulations to Suzie Groombridge, Jean Webb and Pam Baker for reaching the quarter finals representing Norfolk at the National Ladies Triples at Leamington today. Very well done! 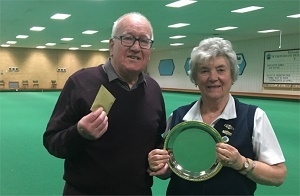 Congratulations to the Wymondham Dell team who won the David Allen Memorial Trophy against Swaffam on Saturday at Mundford Bowls Club. This was an invitation match to the winning clubs of the Rosie Smith League (Swaffam) and the Graves Cup Trophy (Wymondham Dell). Pam Baker, Jean Webb and Suzie Groombridge are off to represent Norfolk at the national finals at Leamington Spa. Their first game is on Monday 13 August at 9:30 on the Leamington greens. Good luck to you all and very well done. John Ottaway, David Naunton and John George are off to represent Norfolk in the National finals at Leamington later in August. 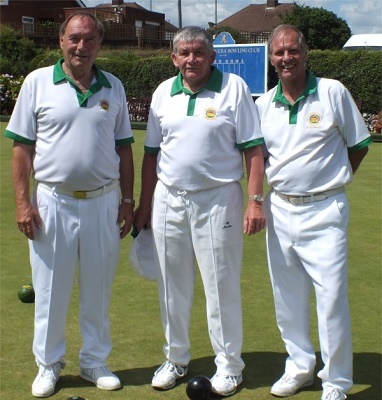 John, David and John won the Norfolk County Triples final last Saturday beating Wayne Wilgress' rink from the Norfolk Bowling Club. John Ottaway was runner up in the County Singles losing 20-21 to George Tubby from Freethorpe, with both representing Norfolk in the National finals. Top Team Playoffs and Winners 2018.
the Mixed fours by The Sandpipers, Kevin Tingey's team. The overall winners of the Top Team 2018 were presented with the silver salver by David Carter to the Swifts, David Chadwick's team, received by Val Vardy. David Carter gave a big thank you to John Austin for his organisation of the top team competition. The Wymondham Dell Men's 'A' team won the final Indoor County League game against Roundwood, 6:1 to secure the Division 2 Championship and promotion to Division 1, Premier league.